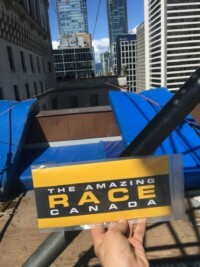 Amazing Race Canada is the most-watched Canadian TV Show. For this stop, contestants how to test their fears and skills as they were challenged with a 30m highline walk from roof-top to rooftop, high above the busy city below. 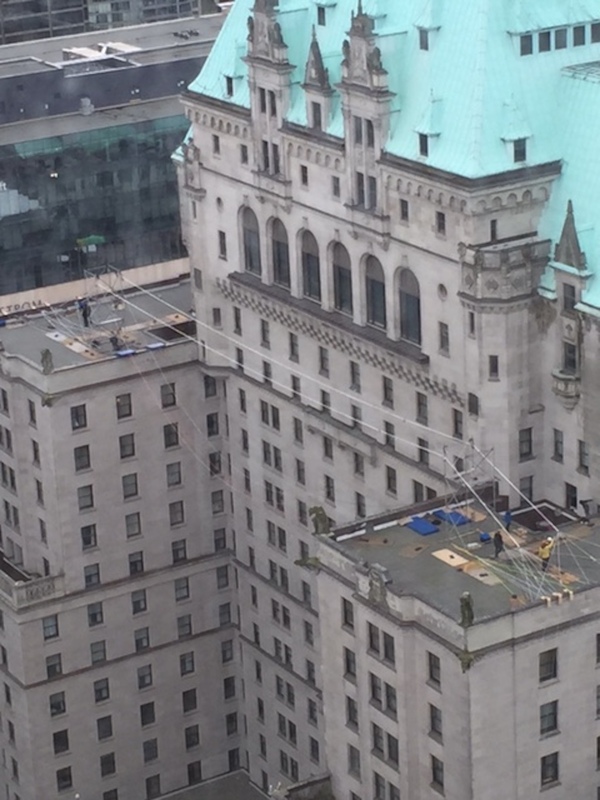 If they fall … they fall – 15m, before a bungee cord catches them. Once successfully crossing the gap, contestants would receive their next clue and continue on the race. For this stunt, contestants will be required to cross a 1″ piece of Tantalus Polyester Webbing from one roof-top to another at the Fairmont Hotel in downtown Vancouver. 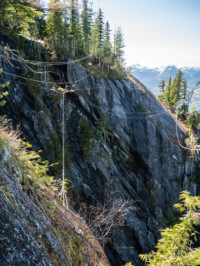 Contestants will be secured using an overhead safety line and will be attached to a 5-meter bungee. Contestants will also have a rope to assist their balance during their attempts. A hauling system will be in place to retrieve contestants when they fall. SlacklifeBC’s team of experts and visionaries have the skill and the eye to safely execute any stunt. Contact us today to start planning! Contact SlacklifeBC and start planning your stunt today!